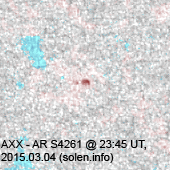 Last major update issued on March 6, 2015 at 05:35 UT. 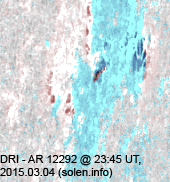 The geomagnetic field was quiet on March 5. 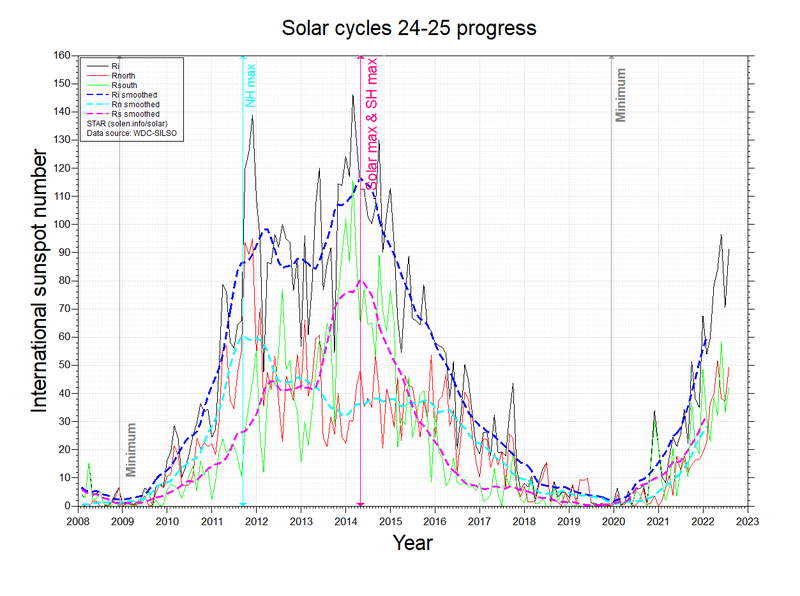 Solar wind speed at SOHO ranged between 389 and 471 km/s. 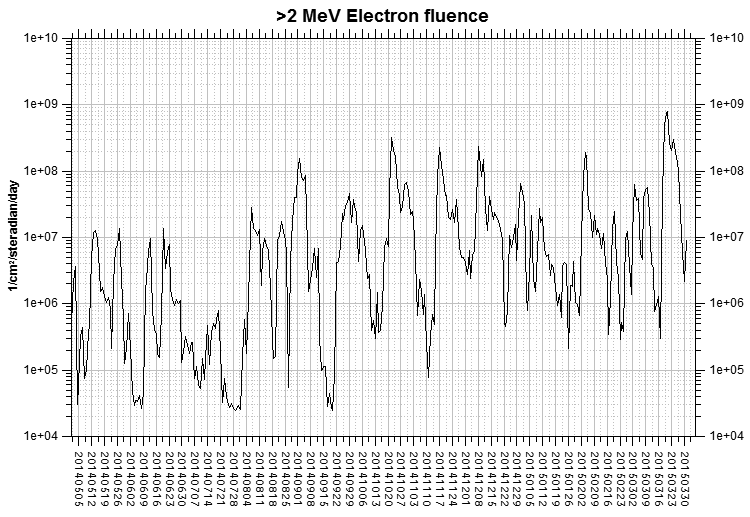 Solar flux at 17h UTC on 2.8 GHz was 126.6 (decreasing 16.7 over the last solar rotation, the measurement at 20h UT was flare enhanced). 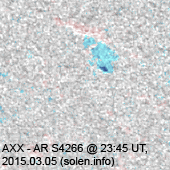 The 90 day 10.7 flux at 1 AU was 138.0. 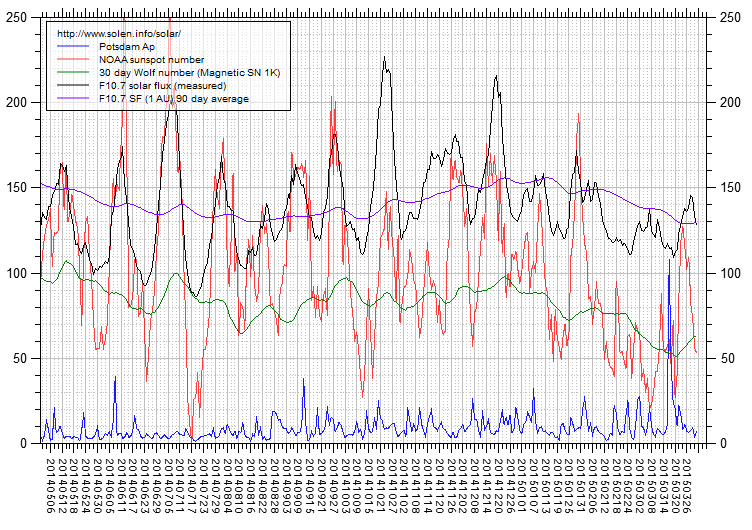 The Potsdam WDC planetary A index was 5 (STAR Ap - based on the mean of three hour interval ap indices: 4.8). 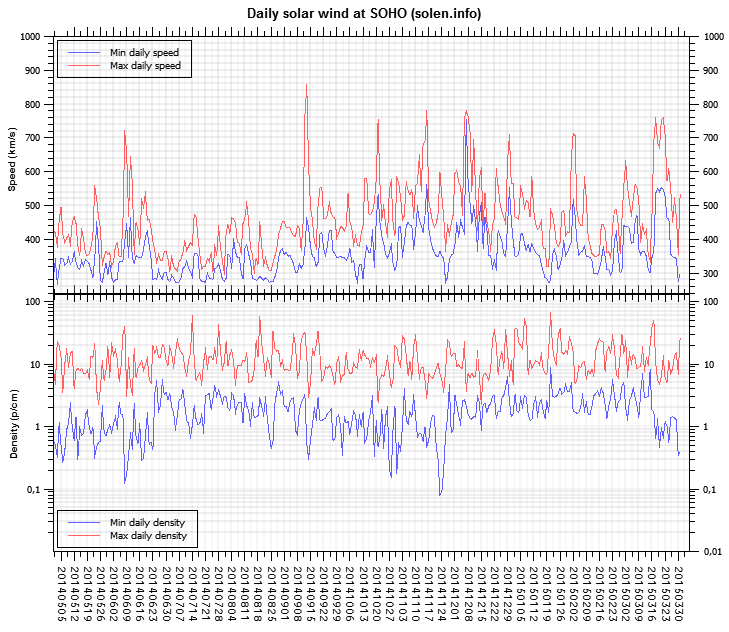 Three hour interval K indices: 10112211 (planetary), 10122322 (Boulder). At the time of counting spots (see image time), spots were observed in 9 active regions using 2K resolution (SN: 147) and 8 active regions using 1K resolution (SN: 101) SDO images on the visible solar disk. Region 12293 [N05W55] decayed slowly and quietly. 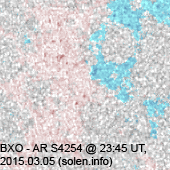 New region 12295 [S07W53] emerged on February 4 and was numbered by SWPC the next day. Slow decay was observed late in the day. 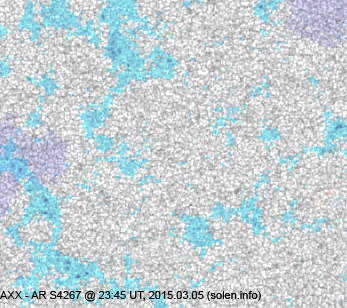 S4251 [S03W22] was quiet and stable. S4254 [S11E38] was quiet and stable. S4256 [S08W02] was quiet and stable. S4263 [S22W37] was quiet and stable. 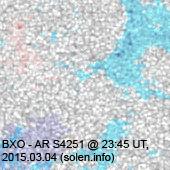 New region S4265 [S27E34] was observed with penumbra spots. 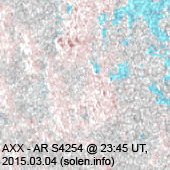 New region S4266 [S44E33] emerged at a high latitude. 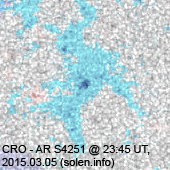 New region S4267 [S17W09] was observed with penumbra spots. 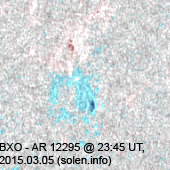 AR 12292 developed in the western section as it rotated over the southwest limb and might be capable of producing an M class flare today while still near the limb. 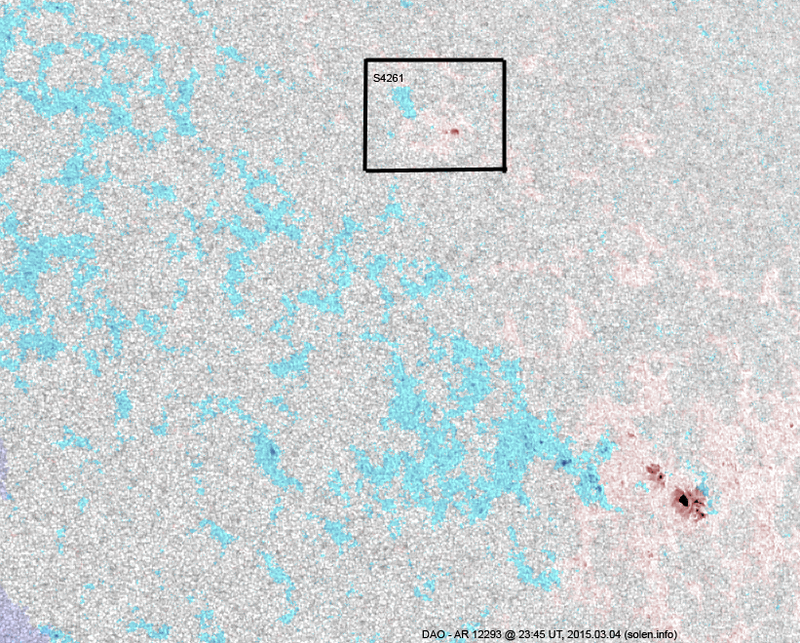 An active region at the southeast limb is very active and has caused a significant increase in the background x-ray flux. 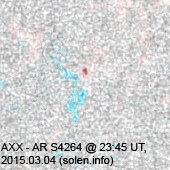 The region was the source of a long duration M3.0 event peaking at 04:50 UT on March 6. A major flare is possible. March 3-5: No obviously Earth directed CMEs were observed in LASCO imagery. 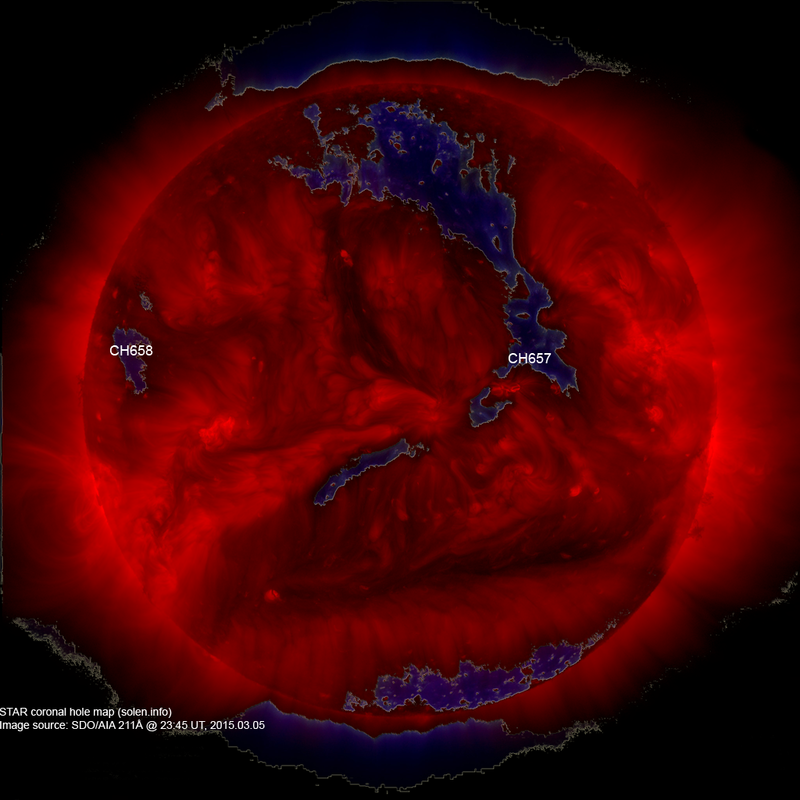 A recurrent trans equatorial coronal hole (CH657) was in an Earth facing position on March 3-5. 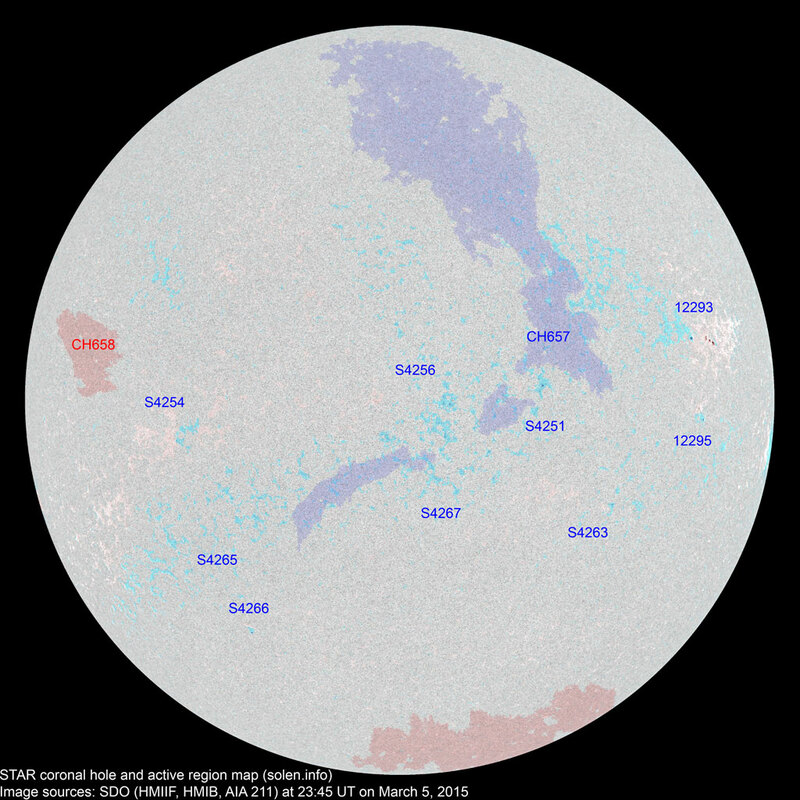 The geomagnetic field is expected to be quiet to active on March 6-8 due to effects from CH657.